Your 41483 T-Shirt design search is complete. 41483 T Shirt designs found. 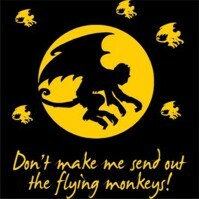 Item # 41483 Don't make me send out the flying monkeys!